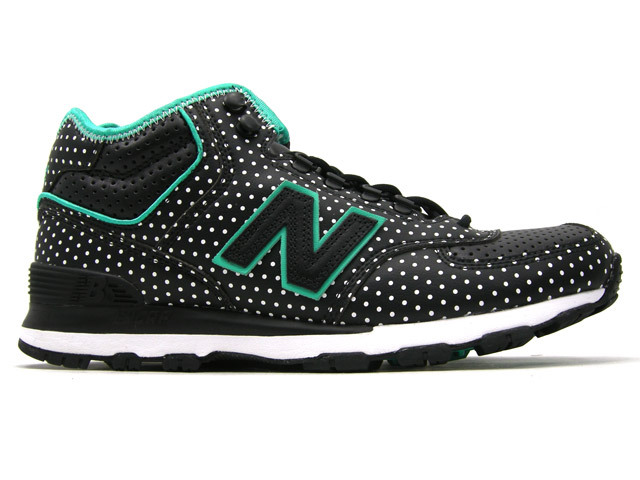 Japanese retailer atmos continues to bring their unique flavor to New Balance models. 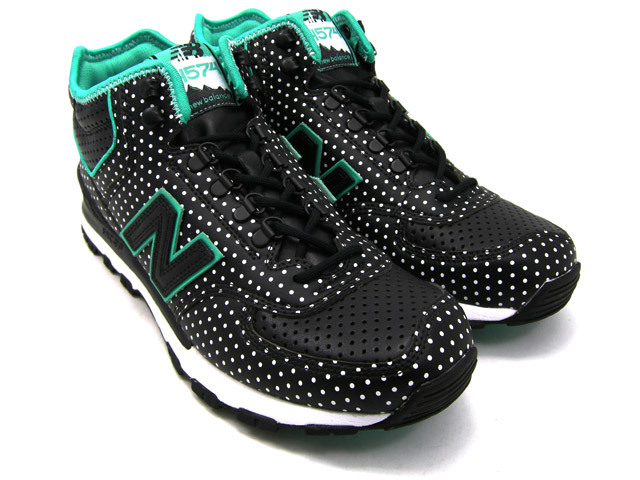 Japan's atmos links up with New Balance once again for the 574-inspired H574J boot. Featuring atmos' unique design style, the shoe features a polka-dotted black leather upper with perforated sections on the toebox and near the ankle. Green accents the inner liner, trim around the ankle and the logo border. White hits the midsole, which sits above a rugged black rubber outsole. 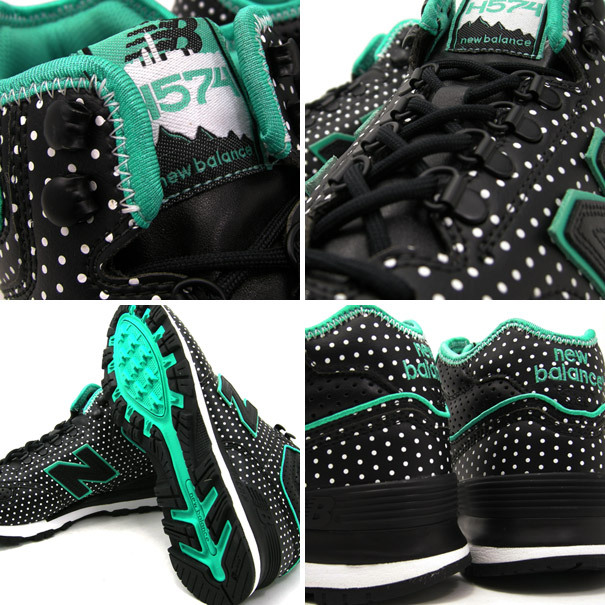 You can pre-order the atmos x New Balance H574J ABK now over at atmos.